P.S. I’d also like to share a new website with you, ThePhotoSociety.org – a group of contributing photographers for National Geographic Magazine. If you’re interested in great photography and storytelling, I highly recommend checking them out – they’re also on Twitter and Facebook. 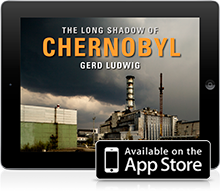 Previous post: The Long Shadow of Chernobyl iPad App Launched!